My family is from Virginia, USA, but when I was a child we traveled around the Caribbean for about six years on a boat. As the youngest, it was my duty to tie decorative knot work around the ship for safety reasons. This has influenced my construction methods, the use of multiple building components that act as both structure and texture. 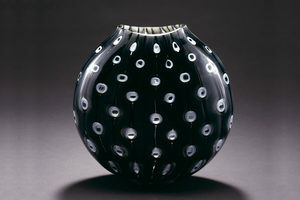 My choice of glass as a sculptural medium has a relationship to its ability to mimic the quality of color and light that surrounded me as a child, in the sky above and in the water below. 2013. The Cutting Edge, Racine Art Museum, WI. 2013. Fluid Reformations, Islip Art Museum, Islip, NY. 2012. 50 Years of Studio Glass, Kentucky Museum of Art and Craft, Louisville, KY.
2012. Fifty by Fifty, Muskegon Museum of Art, Muskegon, MI. 2012. Contempory Glass, Palm Springs Art Museum, Palm Springs, CA. 2009. As Below, So Above, Museum of Northwest Art, LaConner, WA. 2008. Beautifully Crafted, National Glass Centre, Sunderland, UK. 2007. Shattering Glass, New Perspectives, Katonah Museum of Art, Katonah, NY. 2007. Viva Vetro! Glass Alive! Venice and America, 1950-2006, Carnegie Museum of Art, Pittsburgh, PA.
2005. Undulation, William Traver Gallery, Tacoma, WA. 2004. Warp and Weft, William Traver Gallery, Tacoma, WA. 2004. Vetri. Nel mondo. Oggi, Istituto Veneto di Scienze Lettere ed Arte, Venice, Italy. 2003. Under 40, Scuola del Vetro Abate Zanetti, Murano, Italy. 2000. Solo Show, Museum of Northwest Art, La Conner, WA. 1999. Shelter, William Traver Gallery, Seattle, WA. 1998. Venezia Aperto, Venice, Italy. 1998. 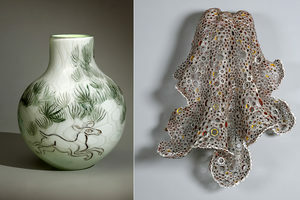 Pacific Northwest Annual Exhibition, Bellevue Art Museum, Bellevue, WA. 1997. 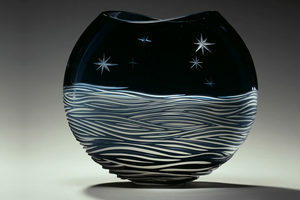 Young Glass 1997, Glasmuseum, Ebeltoft, Denmark. 2011. Visiting Artist, Toledo Museum of Art, the Glass Pavillon, Toledo, OH. 2011, 09, 08 & 04. Artist in Residence, Tacoma Museum of Glass, Tacoma, WA. 2008. 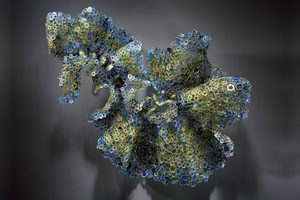 The Corning Museum of Glass, the Studio Residency, Corning, NY. 2008 & 1997. The Creative Glass Center of America, Fellowship, Millville, NJ. 2005-08. Pilchuck Professional Artist-in-Residence program, Stanwood, WA. 2001-02. 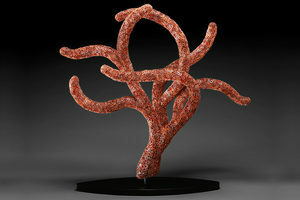 Fulbright Scholarship for study of sculpture in Venice, Italy. 1997. 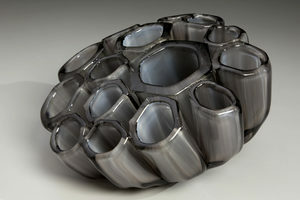 Jon and Mary Shirley Scholarship in Glass, Pratt Fine Arts Center, Seattle WA. 1994. Emerging Artist in Residence, Pilchuck Glass School, Stanwood, WA. 1992. Scholarship, Toyama International Craft Festival, Toyama, Japan. Carnegie Museum of Art, Pittsburg, PA.
Museum of Northwest Art, LaConner, WA. Toyama Institute of Glass Museum, Toyama, Japan. 2001. 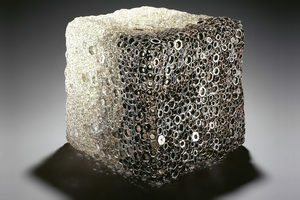 MFA in Glass, Alfred University, New York State College of Ceramics, Alfred, NY. 1993. 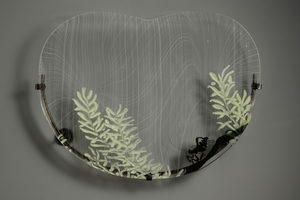 BFA in Glass, Rhode Island School of Design, Providence, RI. 1989. Atrium Baccalaureate in Creative Arts, Rollins College, Winter Park, FL.